Apple today seeded the fifth beta of an upcoming tvOS 11.2 update to developers for testing purposes, a week and a half after seeding the fourth tvOS 11.2 update and a month after the launch of tvOS 11.1. 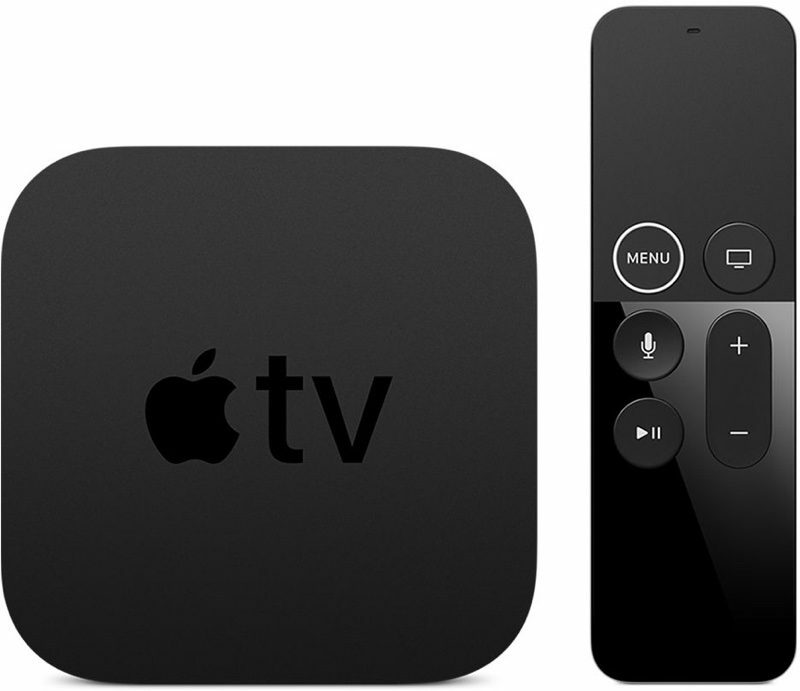 Designed for the fourth and fifth-generation Apple TV models, the tvOS 11.2 developer beta can be downloaded onto the Apple TV via a profile that's installed using Xcode. According to Apple's release notes, the tvOS 11.2 update enables a new AVDisplayManager feature for developers, designed to allow the device to automatically switch video display modes to match the native frame rate and dynamic range of video content. The update includes support for switching the Apple TV 4K display output to SDR for apps that are GPU-bound when running in HDR and it re-introduces the Unwatched category in Home Sharing for Movies, TV Shows, and Home Videos. Apple says tvOS 11.2 also adds new features, bug fixes, and security improvements to the tvOS operating system. Update: Apple has also seeded a new version of tvOS 11.2 for public beta testers. What an absolute garbage of a product. I'll stick with Chromecast Ultra at $54..
Good story bro. Guess you forgot you're in an apple forum. Troll. There is a setting that lets you toggle between the Home button showing the home screen or the TV app if this is the issue you are having. Nope currently about 70% of the time pressing that button does nothing at all. no Home or TV app... so that needs fixed. it worked without a hitch before this update. But good lookin out for sure. I would love to see them introduce an option to automatically play the next episode.........yes, I know it queues the next epsiode, but it would be nice to not have to do it manually. Kinda like the way Netflix does it. Other than that, I love this product and will like it even more once they activate the live sports notifications and scores. will this fix the issue with the inability to get back to the main menu when I click the screen button? that is killing me on the 4th generation, making it almost un-usaeable. I've been using the beta and it still hasn't fixed something that's bothering me. Sorting of TV Shows ignores the sorting field in iTunes. For example, "The Blacklist" is sorted under "T" and not "B". I've checked and the sorting field in iTunes is correct, says "Blacklist". Seems like an easy fix, but it's persisted since the release of tvOS 11 through all the betas. I didn't like that either, but it's just a user preference. You can change the behavior in the settings. If Netflix would just play ball with the TV app, I would probably like the current default behavior.